Catering to the requirements of our customers, we are indulged in providing an extensive quality range of Himalaya Refreshing Baby Soap to clients. 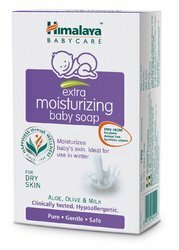 This Himalaya Refreshing Baby Soap is well-known for its anti-inflammatory and antibacterial properties. Clients can buy these products from us at nominal prices.